On Monday, during testimony in the U.S. Government's lawsuit against Qualcomm, Williams testified that the company's iPhone XR, and iPhone XS family were supposed to use modems from both Qualcomm and Intel, but that Qualcomm refused to sell it any chips for the new models. Williams also provided other testimony in the trial that detailed the relationship between the two companies, helping to explain why Qualcomm is now suing Apple in a variety of cases globally. Many different cases are ongoing, involving non-essential patents like the power management patent Qualcomm sought to use against Apple in Germany to block sales of older phones that included licensed mobile chips from Qualcomm —a case that has since been dismissed as unfounded. In Williams' testimony at the U.S. Federal Trade Commission versus Qualcomm trial, Williams was asked, "how did Apple first come to have discussions with Qualcomm about I.P. licensing?" Referring to Apple's original efforts to develop the 2007 iPhone, Williams stated, "We learned there were [intellectual property] holders in the space that charged licenses and Qualcomm was one of those, and we engaged in discussions with them." Apple initially used 3G GSM mobile chips from Infineon in its iPhones, but was still required to pay Qualcomm intellectual property royalties to operate on standard mobile networks involving Qualcomm's SEP, despite Infineon's chips already being SEP-licensed. Not coincidentally, in 2013 Samsung also sued Apple over its own I.P. that Infineon had licensed on behalf of the buyers of its chips. Samsung claimed that Apple had to pay again on top of paying the manufacturer, a case that was filed in retaliation for Apple suing Samsung for copying its iPhone designs. Samsung had attempted to get an injunction on U.S. imports of iPhones from the ITC to force Apple into a settlement over its legitimate case against Samsung copying iPhones, but lost that case. Asked, "did Apple take a direct license to Qualcomm's cellular standard essential patents?" Willams answered, "We did not," explaining that "Qualcomm said that the practice was we had to cross-license all of our I.P. to them." "So in essence, they wanted us to pay them for their [Standard Essential Patents, pertaining to mobile technologies] and, in addition, we would cross-license all of our I.P.," responded Williams. "So, all of our Mac, iPod, iPhone —all of the I.P. they would have a license to. And that struck us as patently unfair, and we chose not to pursue that route." Reiterating his testimony, Williams was asked to clarify, "when you say 'cross-license,' Apple would be granting a license to Qualcomm to use all of Apple's I.P. ; is that right?" Williams stated, "right, and at the same time we pay them." Qualcomm also offered a 5 percent royalty on total product cost, unrelated to the value of its I.P. Rather than pursuing a direct license from Qualcomm, Apple also had the option to pay a five percent royalty on the total cost of each iPhone, based on agreements of the contract manufacturers who would be building its devices. "The whole idea of a percentage of the cost of the phone didn't make sense to us. It struck at our very core of sense of fairness. It—we—you know, at the time we were making something really, really different. We were bringing some innovation," said Williams. "And, for example, we were one of the first and led the charge to embed a lot of NAND memory. We did this on our iPods, and we were going to do it on our iPhones, and if we put another $100 of cost in NAND memory, per the Qualcomm agreement they would get $5 of that even though their I.P. had nothing to do with that." "Apple spends a lot of time making its products really beautiful, so we'll spend an extra $60 on the stainless steel and aluminum enclosures and things like that," added Williams. "And per the agreement, if we spent cost on that, say that extra $60, it has nothing to do with our I.P. [licensed from Qualcomm], the Qualcomm arrangement would have had them collect $3. So that, that didn't make sense to us, and still doesn't today." In the end, Apple and Qualcomm settled on a $7.50 royalty payment in 2007. Asked why, Williams stated, "We didn't have a lot of alternatives. If we didn't agree, then we would be paying the contract manufacturer rate, which was in the high teens; or if we somehow challenged it, we stood the risk of our brand new iPhone we were working on getting enjoined [by a Qualcomm lawsuit]. And so not a lot of great options. And Qualcomm had represented it was the average price everybody was paying, and so we ended up settling on that." Apple and Qualcomm signed a new agreement in 2011 that required Apple to stop using mobile chips from Infineon and exclusively use Qualcomm's chips. Apple wanted to release a CDMA iPhone that could work on 3G networks including Verizon in the U.S. and NTT DoCoMo and KDDI in Japan, and Infineon's chips couldn't yet support CDMA. 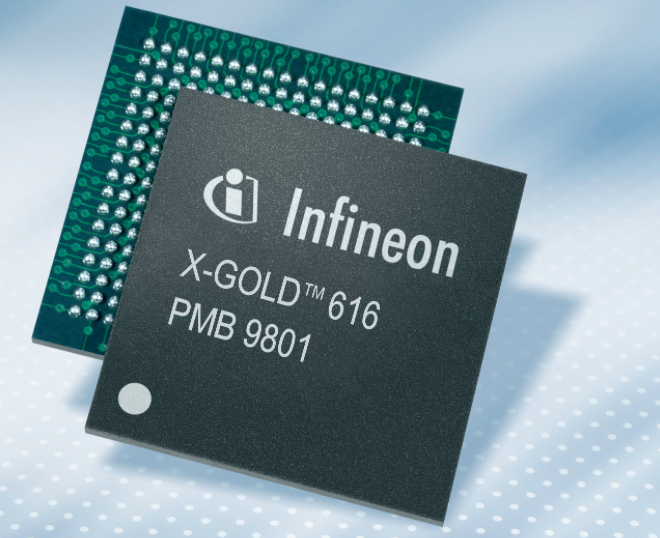 Apple needed to use Qualcomm chips to support CDMA, but it still wanted to second-source mobile chips in the future from Infineon—which was subsequently acquired by Intel. When asked what Qualcomm was seeing as part of the chip deal in the 2011 transition agreement, Williams stated that "they wanted our business. They wanted exclusivity." Williams was then asked if Apple proposed the exclusivity itself. "What we—we proposed that we were going to give them 100 percent of the business in the short term. We said we would sole source in the short term. We didn't have an issue with that," said Williams. "In the long term—and we wanted to move our business to Qualcomm in the short term. In the long term, that wasn't our plan. We ultimately wanted to bring up a second source." Asked to elaborate on the difference between this short term sole source and long term exclusivity, Williams stated that "in 2010 when we were discussing this agreement that we [then] signed in 2011, we had planned to do a multimode chip with CDMA. They were the only suppliers of CDMA. And they had leadership in LTE. And so when we met with them we said, look, we're going to move our business to you from Infineon, and initially you'll be sole source. We'll put our energy in one supplier. And you're going to get a lot of business for that. And that was the beginning of the transition. The exclusivity, when you're talking about things like penalties and clawbacks for bringing up another source, that's different. And that was from Qualcomm." Williams refuted claims that Apple proposed the $1 billion royalty rebate. "We proposed—again, there were two things we were trying to solve. One was relief, financial relief associated with this CDMA price hike; and the other is transition funds for moving business over," said Williams. "We did say, short term, that they would be the only supplier sole source. But long term exclusivity with clawbacks and that, no." A clawback provision in a contract requires that money must be paid back in specific conditions. In Qualcomm's license with Apple, it involved a $1 billion transition rebate that was intended to force Apple to only buy chips from Qualcomm at a stated minimum volume. If Apple bought chips elsewhere, it would lose its rebate that effectively lowered the cost of Qualcomm's licensing. Williams specifically stated that he discussed these clawback provisions with Qualcomm's chief executive Steve Mollenkopf, stating that it was Mollenkopf who proposed the termination and clawback provisions of its agreement, and that the provisions were not in Apple's interests because "it would be constraining to us, and we would not want clawback provisions. It's not something that we've ever done that i'm aware of." Earlier, Mollenkopf testified that it was Apple that demanded the transition rebate to cover its costs of moving to Qualcomm, and that Qualcomm only insisted on exclusivity from Apple to recoup its costs, not to block rivals from the market. It is the antitrust regulators of the U.S. government that is suing Qualcomm in this case, claiming that its exclusive deal with Apple was part of a pattern of anticompetitive conduct by Qualcomm to maintain its dominance in modem chips and block rivals from doing business with Apple. Apple's supply chain executive Tony Blevins also testified that it was routinely Apple's practice to pursue at least two suppliers, and in some cases as many as six sources, for every component used in an iPhone, supporting Williams' testimony that exclusivity and the arrangement of clawback payments was demanded by Qualcomm. For the 2013 iPad mini 2, Belvins revealed, Apple had sought to obtain a modem chip from Intel, then the owner of Infineon, but was blocked from doing so by the Qualcomm contract it signed in 2011, as losing its rebates under the agreement would have made the overall cost too high. "They made it very unattractive for us to use another chip supplier," Belvins stated. "These rebates were very, very large." In 2012, Apple had to negotiate a new agreement as its transition contract was about to expire. When asked was Apple's was objective in entering into the agreements that on the surface worked against Apple, Williams answered that "what we were staring at is at the end of 2012, our $7.50 arrangement with Qualcomm was coming to an end and the default was that our royalty rate was going to go up to the high teens because it was just going to flow through this, this crazy contract manufacturing arrangement." "And so on top of the chips we're buying, on top of the $7.50 we're already paying, there was going to be another $8 or $10," Williams answered. "We were selling a hundred million phones, it would be another billion dollars a year in royalty for, for no extra value from Qualcomm." Apple effectively signed an extension of its royalty rebates under a 2013 BCPA and amended transition agreement, "through signing up for chips and exclusivity," Williams stated. Asked if the 2013 amended transition agreement contained termination and clawback provisions "similar to those that we looked at earlier in the transition agreement," Williams stated that "it did, except they were more onerous this time. They were larger volumes, more money at stake." Again, when asked "who proposed the exclusivity at this stage of the negotiation?" Williams answered with a single word, naming Qualcomm. Asked if Apple objected, Williams stated, "we did, but we—again, we were staring at an increase of over a billion dollars a year on licensing. So we—we had a gun to our head." Qualcomm pursues global patent filings to force Apple's costs up until it will "pay the ransom"
Apple subsequently filed suit against Qualcomm's licensing practices as illegal under antitrust law in January 2017. Williams was asked if Qualcomm has taken any adverse actions against Apple since Apple filed its lawsuit. "hey're suing us in courts all over the world. They're suing us on non-essential patents, non-SEPs, NEPS," answered Williams. "They're suing us and what they're trying to do is get a hit in any one of those courts to cause an injunction that will cause enough pain that we'll have to pay the tens of billions of dollars ransom on their SEP program." "To use their language they used with me, we have to basically run the table. We have to win in every one of these courts or else we're—what they said is 'you're an ideal target because your volumes are so big that you lose so much money that unless you run the table, then they kind of win.' And we've got no choice but to pay the ransom." 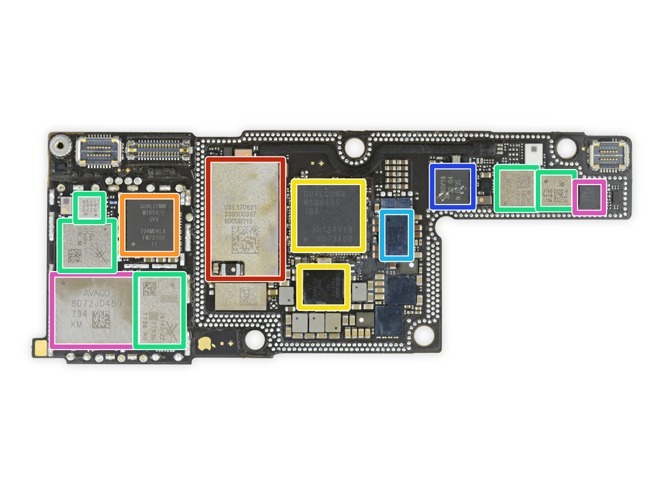 When asked what happened to the Apple-Qualcomm chip supply relationship when Apple filed its lawsuit against Qualcomm, Williams stated that "Qualcomm has continued to ship us product on the design wins that they have and had at the time. And so they have continued to sell us chips." "We have been unable to get them to support us on new design wins past that time, and this has been a challenge. For example, in—for 2018—we were dual sourced in 2016 and 2017, and our strategy was to dual source in 2018 as well, and we were working towards doing that with Qualcomm," said Williams. "But in the end, they would not support us and sell us chips. We—I contacted Qualcomm, I contacted Steve [Mollenkopf], I sent him e-mails, I called. We tried to get them to sell us chips, and they would not."